Scapolite's name is derived from Greek words meaning "rod" or "shaft" and "stone," which describes the shape of its crystals. Originally discovered in 1913 in the Mogok stone tract of upper Burma, scapolite has been found in many locations. However, it is typically found only in small pockets, leading to its status of rarity in the gemstone world. Scapolite is a mineral group of colorless, or translucent pink, orange, yellow, green, blue, violet or purple gemstones. RI, birefringence, optic character and possible fluorescence. 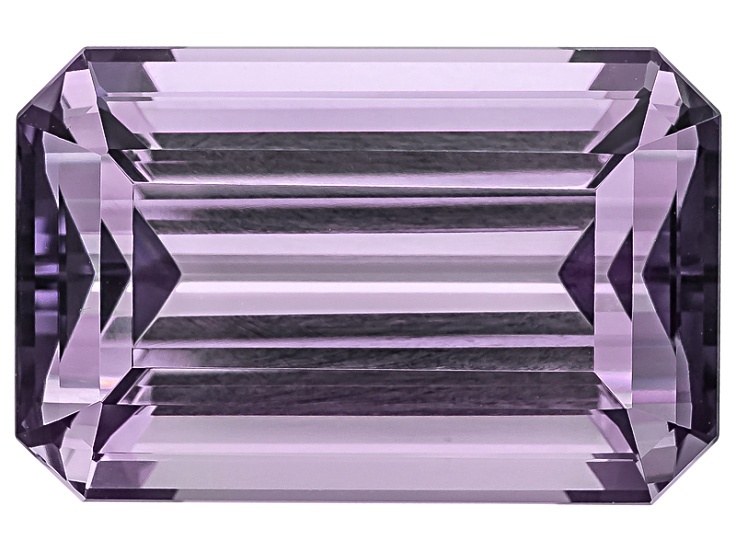 Uniaxial negative nature is the key to separate from uniaxial positive amethyst. The birefringence can be key when separating from beryl and labradorite. Scapolite often has hollow tubes or needle like crystals.